The Observers Book furnishes clues by disbursing credit for its "collected and compiled" contents liberally, to both published titles and homebrew contributors. It anthologizes several of M.A.R. Barker's creations in the 1975 role-playing game Empire of the Petal Throne, from the Biridlú to the Yéleth, as well various monsters that appeared around the same time in TSR's first periodical The Strategic Review, and even a few from the early fanzine the Dungeoneer. Before we scold him for piracy, do note that Bursey was giving the Observers Book away for free: as a note inside reads, "Apologies for mistakes and poor presentation; but what do you expect for nothing?" Unfortunately for us, because he did not sell it, we cannot trace and date it through the catalogs of retailers and distributors as we usually consult for a commercial product. Beyond crediting published sources, the Observers Book also attributes monsters to Bursey personally and to a set of other named individuals: Fred Hemmings, Martin Easterbrook, Chris Walton, and Mike "Big Oz" Brown. 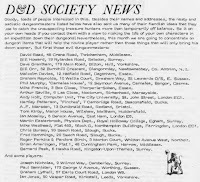 In the earliest listing of members of the British D&D Player's Society in Owl & Weasel #14 (March 1976), we can already find Bursey, Hemmings, and Easterbrook listed. In fact, Bursey and Hemmings share a street address in Slough, an exurb west of London. Fred Hemmings was active in science-fiction and fantasy fandom in Britain before the publication of D&D, and when he attended EuroCon in 1972, his presence was noted by Hartley Patterson. 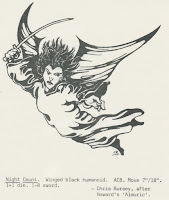 Patterson, the prime mover behind the Anglo-American Midgard family of games, was also the publisher of News from Bree, a transitional game fanzine that began as an offshoot of the Tolkien Society but abruptly refocused on D&D when it became available. 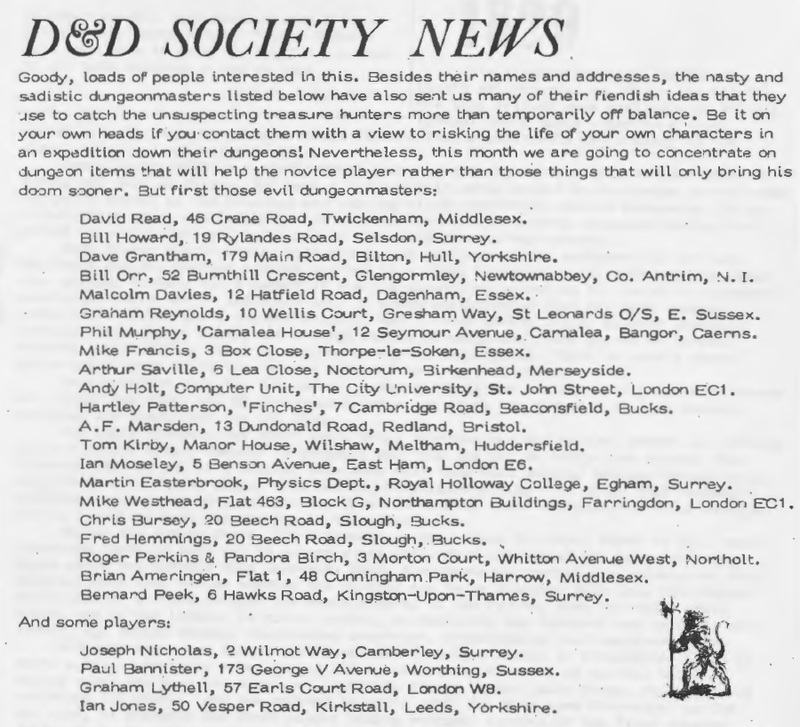 Patterson talks in issue #16, in January 1976, of his initial difficulty finding people who shared his approach to D&D, but then reports that recently "I've encountered the Slough complex of Fred Hemmings and Chris Bursey which after some adjustments fitted quite well with mine." Monsters like black orcs and night gaunts return in the Observers Book, so we can see it as a sort of compendium of the monsters published in fanzines like News from Bree, mixed in with more official creations. 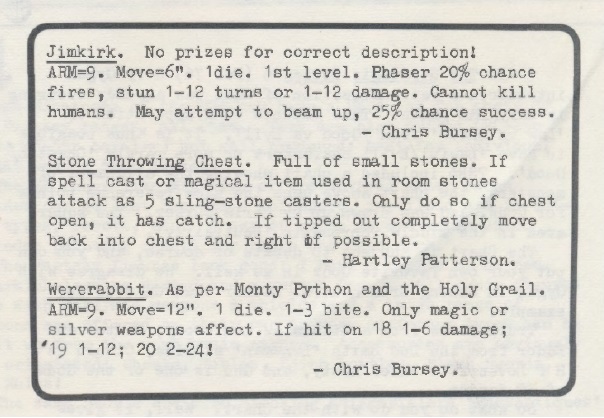 To make sure his customers got their money's worth, Bursey also threw in six pages at the end of rules for a variant character class, the Unholy Cleric. But the remaining twenty-four pages enumerate 130 monsters, often in terse descriptions -- without graphics, which would surely be a let down after Beaumont's illustrations. 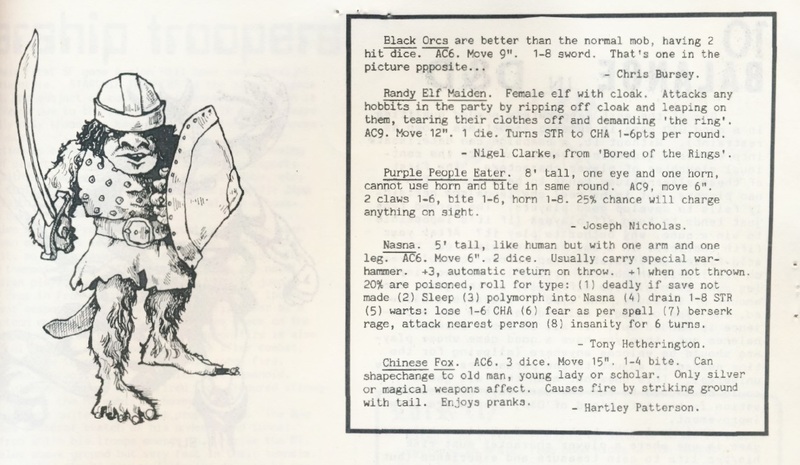 One reason we know to look in News from Bree for the originals of these monsters is that black orcs pop up again in the pages of White Dwarf #4, though an explicit credit for them to Bursey and News from Bree only appears in issue #6. Don Turnbull, in a project he called "Monsters Mild & Malign," had "spent many hours scouring through D&D magazines in search of new monsters interesting enough to use in my own dungeon." Soon, Turnbull pivoted to republishing entries submitted specifically to White Dwarf for a similarly-alliterative column called the "Fiend Factory" which would ultimately populate much of the Fiend Folio (1981). But Bursey's primitive pamphlet must have beaten that tome to market. The prevalence of early monsters from Empire of the Petal Throne, and issues of the Strategic Review dating to 1976, helps us to hone in on a date. Because Bursey also included Jim Ward's creature the "Mobil Dis" from Dungeoneer #3, which we know shipped in the first days of 1977, that year is the absolute earliest he could have produced the Observers Book. 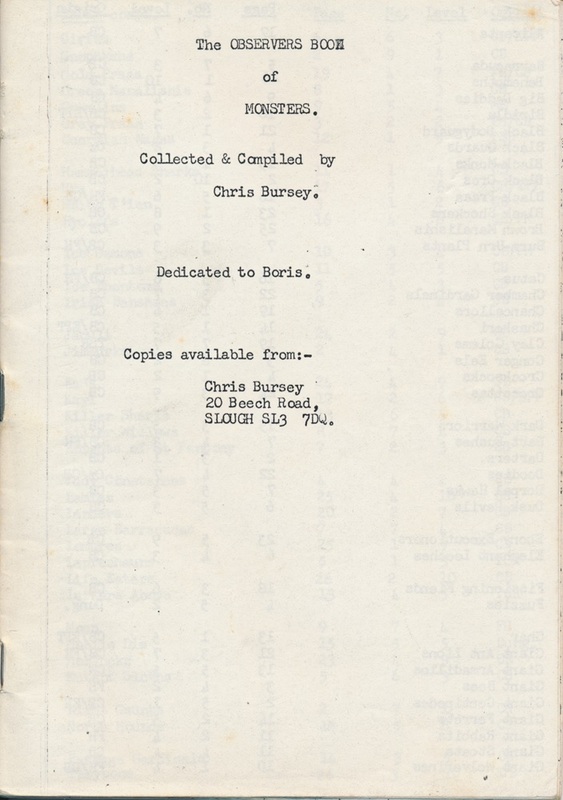 But by 1978, we no longer see Bursey's name in the fanzines where it once appeared. Given that the Observers Book scrupulously avoids any monsters in the core D&D books or supplements, it seems doubtful it was written by someone who had seen the Monster Manual, as it contains many creatures, like the peryton, that appear there. Most likely, the Observers Book appeared in the same sweet spot as All the Worlds' Monsters and similar third-party attempts to beat TSR to a bestiary. Fascinating find from fascinating times!